Before joining the University of Lagos in 1985, where he is Professor of Sociology, Prof. Ninalowo taught briefly at York and McMaster Universities in Canada. His long-term research and teaching interest had consistently been in the areas of social democratic governance, problems of underdevelopment and legitimation crisis. These research interests had been global in orientation and with particular reference to the African continent. There was recently an empirical study on marginalization of the middle class in East, West and Southern Africa, sponsored by the Ford Foundation, through the auspices of CODSERIA. Prof. Ninalowo was Co-Director for the segment of that study in West Africa. He was (2003) a Visiting Senior Research Scholar on Democratic Governance and Regional Integration in Africa, at Development Policy Management Forum (DPMF) in Addis Ababa, Ethiopia. He was also (2005) a Visiting Senior Research Scholar on Development across the African Continent in a global context at the African Centre for Economic Growth (ACEG), Nairobi, Kenya. Aside from having his ideas on social democratic governance and problems of underdevelopment published in edited and authored books, he has also widely published in international journals and monographs, including Foreign Affairs Reports, African Development, Scandinavian Journal of Development Alternatives, Canadian Journal of Education, inter alia. He is also founding Editor-in-Chief and Editor of two major journals in Nigeria, namely, Unilag Sociological Review (USR) and Journal of Society, Development and Public Health (JSDPH) respectively. 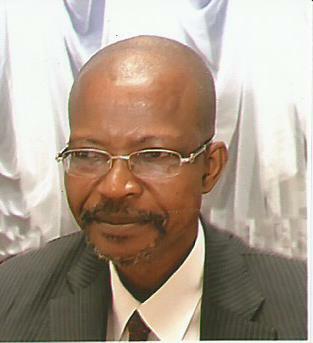 He is a former Sub-Dean of Post-graduate Studies and a former Head of Department of Sociology, University of Lagos. He had also been an External Examiner/Assessor to a number of Universities, including, Obafemi Awolowo, Benin, Bayero, Ibadan and Covenant. He was a member of Planning and Implementation Committee of Fountain University, Osogbo, Osun State, to the point of granting of operating license by the NUC. His memberships of professional bodies include those of Canadian Sociological Association, Nigerian Political Science Association, American Sociological Association, Nigerian Industrial Relations Association, Nigerian Anthropological and Sociological Association and International Sociological Association. In 2009, Prof. Ninalowo was honoured with the Chieftaincy Title of “Gbekoniyi of Ikorodu” (i.e. Glorifying Enhancer of Knowledge), by His Royal Majesty, Alaiyeluwa, Oba (Dr.) S.A.A. Oyefusi (Oguntade II) CON, The Ayangburen of Ikorodu of blessed memory. His scholarly engagements had recently taken him across the world including locations in Cambridge, UK, Buenos Aires, Argentina, Canada, United States, Across Africa and Japan.